A fantastic duo who sing songs from their family and home county Essex without frills or fuss. Join them in the intimate settings of Green Note for their debut duo Album Launch released by Stick in the Wheels’ From Here Records, with special guests and support. 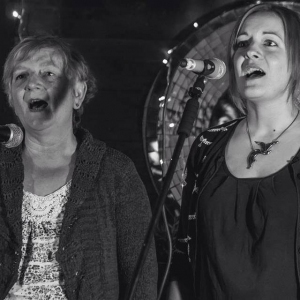 Fran Foote, a well known member of Stick In The Wheel has teamed up with her mum, Belinda Kempster to sing songs from their native county Essex.